ANNE ZAHALKA has been included in an exhibition titled Realising Mother, curated by Zorica Purlija. Presenting photographic, video and blog works by a collection of emerging and established Australian women artists, the exhibition investigates the role of the mother in our culture and the histories that continue to shape that role. Anne Zahalka's poignant new video work, Rewriting, considers the painful separation between a mother and her two daughters at the onset of World War II. Having fled their home in Vienna as exiled Jews they find refuge in Czechoslovakia until the sisters receive safe passage to England. Their mother remains, surviving alone for nearly five years before being deported to Poland where she perishes. The love and anxiety the mother feels and fears for her daughters is palpable, reminding us of this unconditional bond. 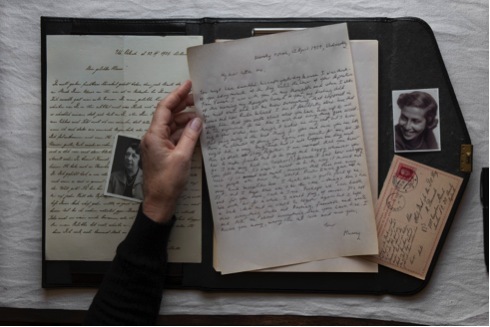 Based on letters written by the artist's grandmother to her mother and aunt at this time, Zahalka has transcribed them from German into English to give voice to their trauma and to keep her memory alive. The rewritten letters have been sent to Zahalka's own daughter currently living in England to share their grandmother’s story and to reflect on their own separation. The exhibition runs from 1 to 18 November at Kudos Gallery in Paddington, Sydney. 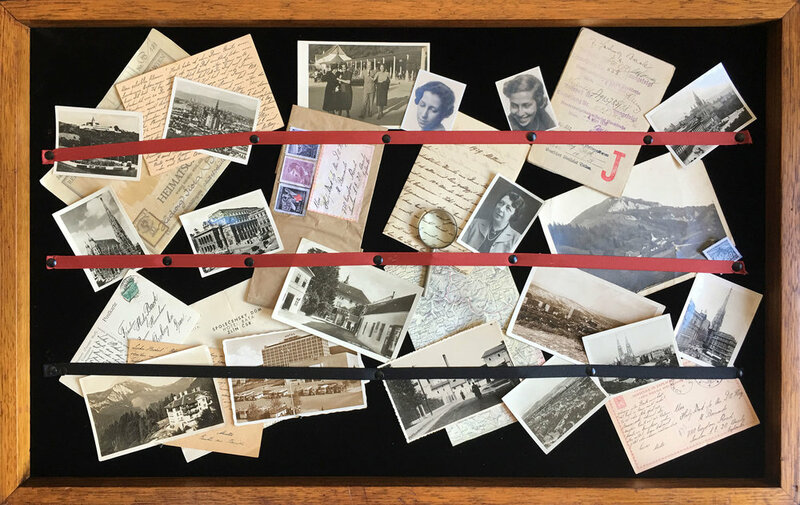 A collection of letters, photographs and ephemera including the last photo taken of the artist's mother, aunt and grandmother together.